PCRWR (Islamabad): Water is the key component in determining the quality of our lives. Today, people are concerned about the quality of the water they drink. The stress on water resources of the country is from multiple sources. Rapid urbanization, increased industrial activity and dependence of the agricultural sector on chemicals and fertilizers have led to water pollution. Deterioration in water quality and contamination of lakes, rivers and groundwater aquifers has, therefore, resulted in increased water borne diseases and negative impacts on human health. It is estimated that around 40% of all reported diseases in Pakistan are attributed to poor water quality. As one indicator of the magnitude of the problem, it is estimated that 250,000 children in Pakistan die every year due to diarrhoeal diseases alone. 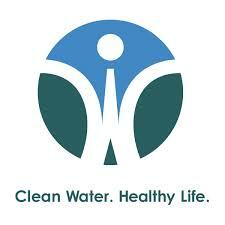 Pakistan’s ranking in maintaining water quality standards is 80th out of 122 nations. Generally, water pressure is low in Pakistan supply systems. Together with leaky pipes, this has led to infiltration of contaminated water. As a result of sewage and industrial waste, which leaked into drinking water through damaged pipes, major outbreaks of waterborne disease epidemics swept many cities in 2006. Water, extracted by hand pumps–the major water pumping tool in rural areas–is often brackish and generally inadequate to meet all domestic requirements. In such scenario, water quality monitoring is the need of the current time, as the citizens may unknowingly drink contaminated water containing viruses and bacteria linked to potentially fatal diseases, such as Cholera, Typhoid fever, Dysentery and Infectious hepatitis etc. It is further estimated that water related diseases cause annual national income losses of USD 380-883 million – or approximately 0.6-1.44 percent of GDP. In this perspective, it is the demand of time to take milestone initiatives to ensure that drinking water is as free of such impurities as is possible and this can be accomplished by timely monitoring and treatment of drinking water quality. Water quality monitoring and surveillance is a basic and primary tool to assess the pollutants present in water.